I know…I know…my blog and my shop have been rather neglected. In my defense, Ive been painting the house (I couldn’t take living in a butter dish any longer), lecturing full time and keeping Wren afloat. 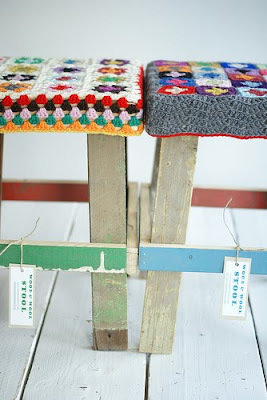 I now have time off (yippeee) and to start off, I thought I would tidy my blog up. There are so many great blogs out there and whilst living through the past few months, I haven’t taken the time to stop, chat and be inspired. …these hand drawn flowers in a vase? Made by Jurianne Matter and found via Bloesem. 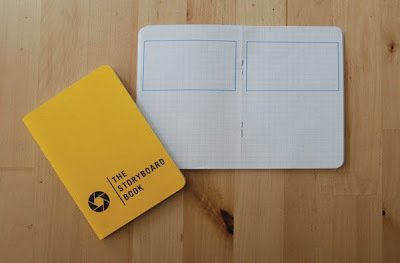 These budding storybook notebooks found via anything goes. 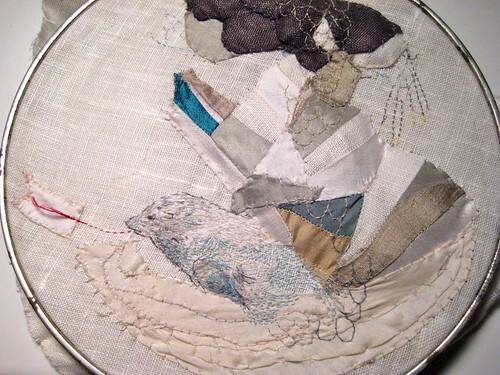 Astulabee attended a dimensional fabric collage workshop. Here is one example as to why (only sometimes) I wish I lived in the US (or if I could wish for absolutely anything, South Africa was closer to the US). With that mention, Heather Moore of Skinnylaminx is over in NY and having a wonderful creative sabbatical fulled with all these kinds of workshops – it’s great to see. I love Oh Joy‘s new website (or has it been like this for a while? 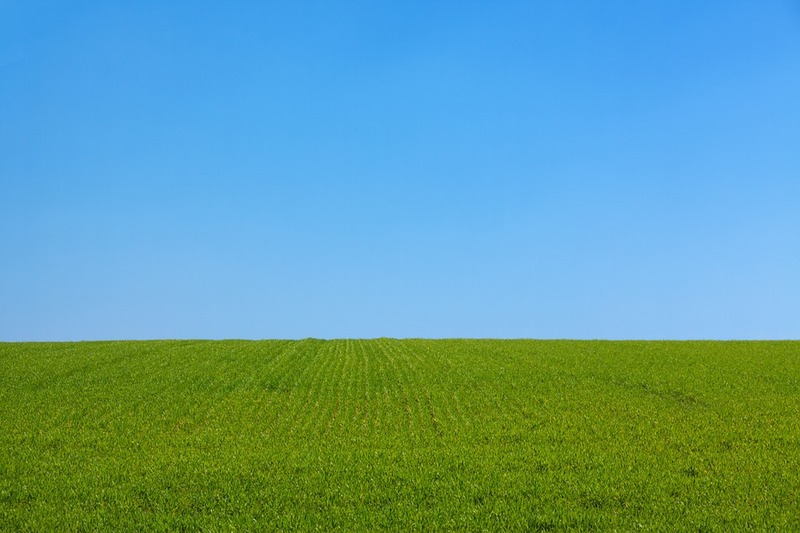 – sorry, love the nature image widgets). It’s autumn right now in South Africa and although gardens are usually most loved in spring, I am loving this new season. All my Watsonia’s and Chasmanthe’s are shooting, my rocket is starting to take and everything seems to be recovering well from the Cape’s windy and hot summer. Design Sponge has a post on Marie Susa (of Susa farms) scented geraniums. Wouldn’t those make lovely tussie-mussies? 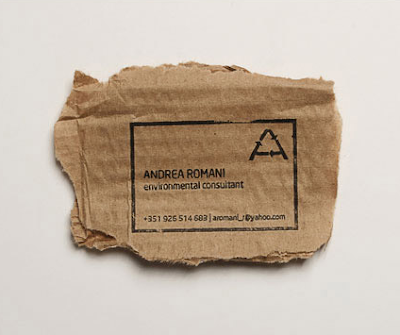 How clever are these business cards by Andrea Romani (en environmental consultant) found via laissezfairedesign? 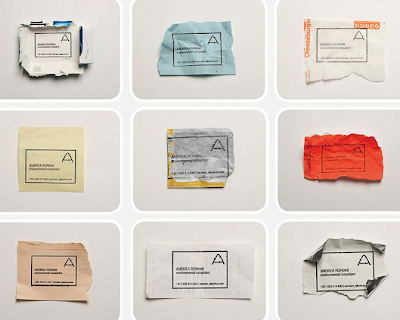 Often I am challenged to develop a ‘new’ and more interesting business card but my response is that the ones I have are cheap, serve the purpose and are easy (and I think look pretty cool for the boring business card). To go and develop something more ‘captivating’ takes time and money – well not these. LOVE IT! Also….our post box is just about had it and needs an upgrade but I refuse to get one of those awful metal ones. 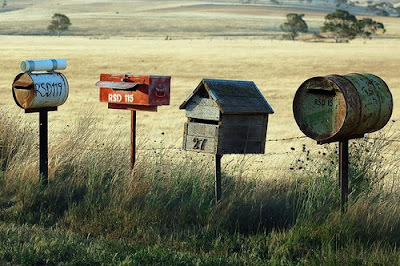 How gorgeous are these post boxes in a photograph from Being Brazen‘s Blog. During this ‘inspiration feast’ I realised all my local favourite bloggers were no longer on my roll. I am SO sorry – please forgive me. 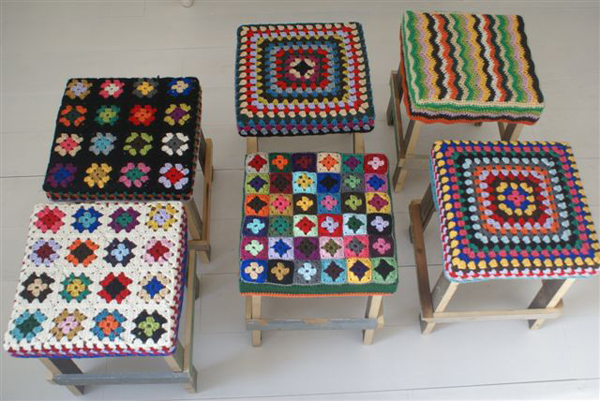 I missed out of wonderful things like these crocheted stools by wood & wool via Beatnik Bazaar. Soozibee’s blog is always very down-to-earth and I love her new landscape prelims. I also love her sketchbook (I say this with a guild running up my spine becuase I should have a sketch-book too – note: add to to-do list (wow, this list is growing). …and I’m wondering…where on earth was I when all these great things were being posted??? This entry was posted in Blog and tagged Design Sponge, Inspiration, journal, sketchbook. My personal favourite is the hand-drawn flowers in a vase. Love them! Thanks for including my buttons in this great round-up! Wow…great post and pictures.I love all pictures and all very creative work.I love your vase with the drawing flowers.Great idea.I would be happy when you have time to stopping at my blog again. I know where you were – the same place I find myself way too often – in the land of busy. So i really do appreciate the visit to my side and I’ve just spent a very happy few moments on your latest post. A feast of creativity. Thank you.